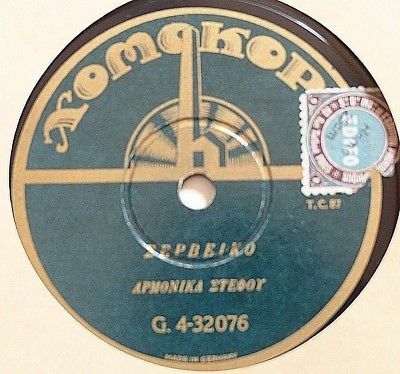 this record is a part of a large collection of arabic / turkish / greek records , originated in cairo , and bought in cairo shops in the early part of the 20 th. century . check my store for more items from this collection . record condition : RECORD IN VERY GOOD +++ CONDITION !!!! FEW VERY MINOR SCRATCHES ON THE RECORD . RECORD PLAYS VERY GOOD !!! shipping to anywhere in the world is 12.00 U.S. $ . classical music, folk music , and much more.